In an earlier post I wrote about my maternal grandfather’s family, the Dunstalls. 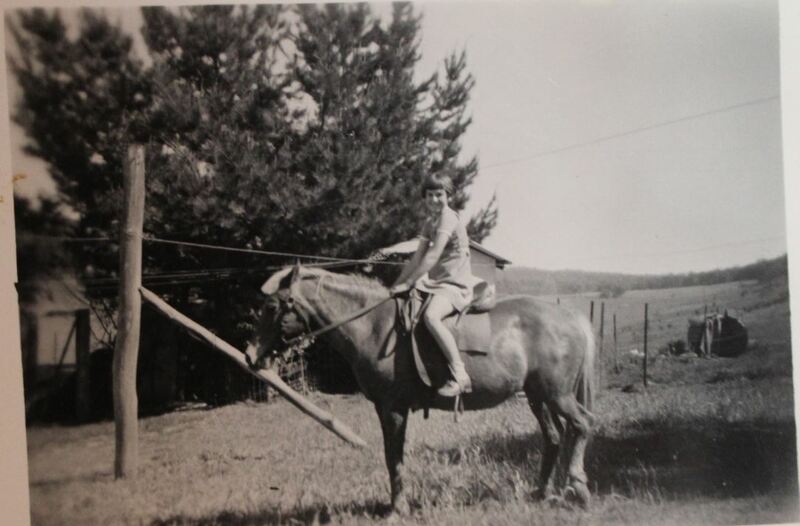 My maternal grandfather married a girl from the Snowy Mountains in New South Wales. Her father was Burleton Herbert Wookey Peard and I met him when I was quite young. My mother was quite attached to him and he died when I was five years old, only a year after I met him. We lived interstate and when I was aged four we went on long visit, staying on their property at Mannus. My mother’s pleasure at my spending time with him was still fresh in my young mind when he passed away the following year, and I remember my mother’s sorrow equally well. It was one of those pivotal moments which gelled my understanding of family, and also my awareness that the elderly would not be with us forever. To me, Burleton Herbert Wookey Peard was known as Pa. I never knew his full name until our next interstate visit when I was ten years old and we went to visit his grave. He had been a successful farmer and had a green thumb like no one else around. There was a plaque in Mannus commemorating his efforts at eradicating St John’s Wort (calling him Burleigh Peard) and a whole series of prizes from agricultural shows and produce fairs. This visit to the property of Orana at Mannus was the one which turned me into a genealogist. At the age of ten, I wanted to know all about Pa, about how he got that crazy name, about where he learned everything he knew. His wife Stella (Ma) was tickled pink, and brought out the family bible. I diligently copied all the entries into an exercise book. I was shown Boer War medals, photographs, doilies embroidered by long deceased aunts and uncles, and I heard a multitude of stories. I was also promised the family bible when Ma passed on, but a promise to a 10 year old girl can’t be expected to be kept. I have no idea what happened to the family bible and the medals, but at least I have my transcription. I learned that Burleton was named for his mother’s family. His mother was Mary Ann Burleton and she had been born in East Harptree in Somerset. Her parents were Francis Burleton and Fanny Eliza Wookey, both of East Harptree. His name was the surname of each maternal grandparent. I’m not sure about ‘Herbert’. Francis was the son of William Burleton and Elizabeth Dudden and to date I have only located three children in this family. William was a merchant who fell on hard times, he was forced to bankruptcy in 1824. William’s father, John Burleton born 1744, was a man of standing in his community who had a successful farm called Eastwood. John Burleton in 1777 married Sarah Fry, a girl of a very good family from Witham Friary in Somerset. Her family posted announcements in all the Gentleman’s Magazines around. She came with some money of her own, and John Burleton it seems came with some very good farm management skills. Together they made Eastwood a place of local importance. Seventy five years later, John and Sarah’s grandson Robert entertained his neighbours the Earl and Countess of Waldegrave at Eastwood. It was a big event and a story which came all the way to Australia. I had been quite unable to get any earlier than John Burleton and had only found his marriage through the family he married into. However, looking through my DNA 4th-Remote cousin matches I found someone with the surname Burlington in Somerset amongst their ancestors. No gedcom was provided but an extensive surname list. I spotted no Wookeys, Duddens or Frys, but I did wonder of Burleton and Burlington might be connected. So I wrote an email, giving the details I had. It took about three emails back and forth, but finally I had a confirmed cousin. It seems Elizabeth Burlington from the other tree was the daughter of Joseph Burlington born in 1738. Joseph’s name had undergone a change. He was the son of John Burleton born 1700. A burial existed for John Burleton senior and his wife Elizabeth is believed to have been Elizabeth Lush but another verification of this would be nice. John Burleton born 1700 died 1775 in Witham Friary had several children and my cousin had viewed the baptisms for them all. Amongst the children were a son John Burleton born 23 Dec 1744. All the family names were amongst them and witnesses and sponsors show that my John belongs amongst them. After comparing all our documents, my distant cousin and I agreed that we had the same family. I had a confirmed 6th cousin! I had also added a few details to my family tree. The other very nice thing about this was that I had verified a branch. The thought had honestly flitted across my mind that maybe I was adopted and that was why I was finding no matches (apologies to my parents, I now have ample evidence to the contrary). I also have an example of how DNA matching can work. It’s quite straightforward when the pieces fall into place.